After eating my lunch in my shirtsleeves on my personal balcony (read: the industrial stairway from our break room down to the equipment yard), I could almost go for a snowcone. Hard to imagine Missoula woke to snow yesterday morning. 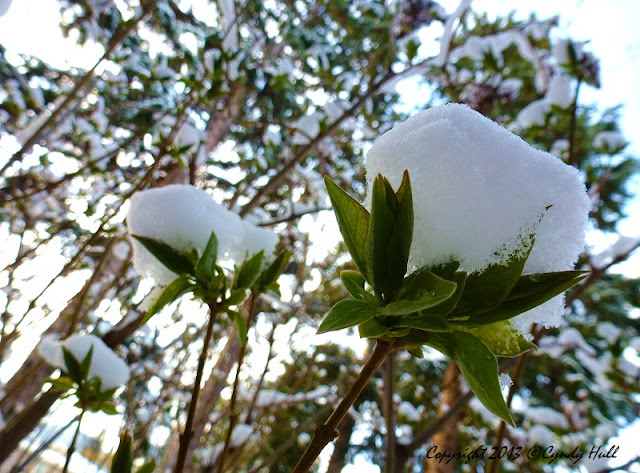 While a spring snow flurry is fascinating and beautiful, it also brings the possible danger of freezing new plant shoots. Fruit trees are particularly vulnerable, as below zero temps at just the wrong time will kill off the buds that would have become a food crop.